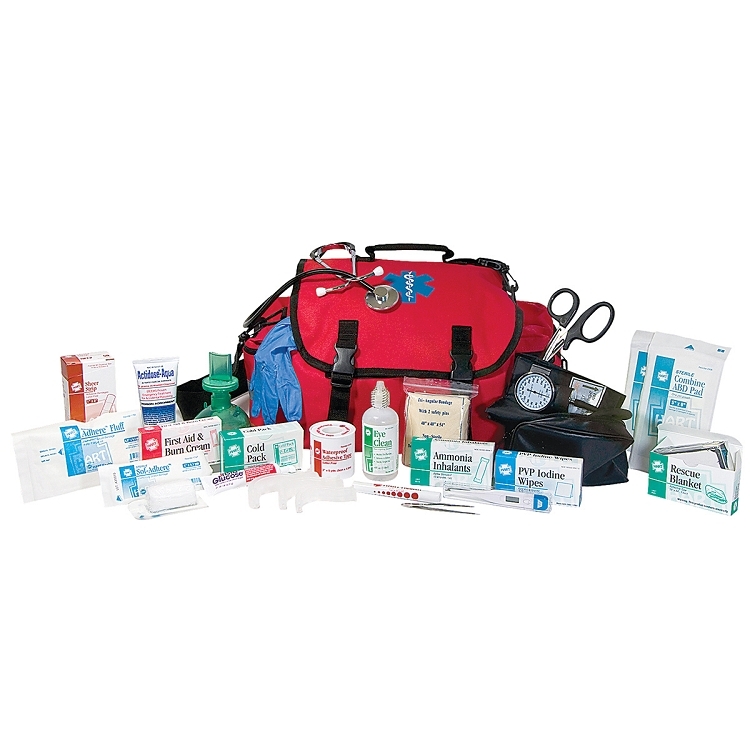 A fully stocked trauma kit, designed to meet the needs of emergency, occupational and sports health care professionals. 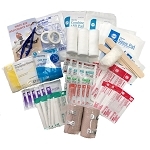 This kit contain a wide assortment of emergency products including items for dressing wounds, gloves, wipes, EMT scissors, instant cold packs, CPR mask and more. This contents of this kit are designed for use in a wide range of situations from minor cuts to injuries requiring Basic Life Support (BLS). 2	Abdominal/Pressure Pad, dressing, 5" x 9"
50	Adhesive bandages, HART, sheer, 1" x 3"
1	Blanket, diposable, yellow, 54" x 80"
1	Cup, Medicine 1 oz. 3	Gauze sponges, sterile, 4" x 4"
1	Multi-trauma dressings, 10" x 30"
1	Wire splint, HART, 30"
Copyright 1989 - EMPREP.com. All Rights Reserved.